Opened in 1995, the second Rascals holds a special place in the Rascals family. Originally 2 apartments, this grand old house was restored to its former glory when we opened. 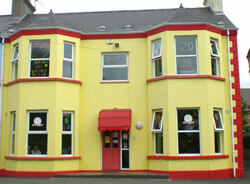 With space for 4 large spacious play rooms, we added an extension in 2005 to house a specialist afterschool department. To celebrate its 20th year, this branch is undergoing extensive renovations and remains a firm favourite with families in the area.